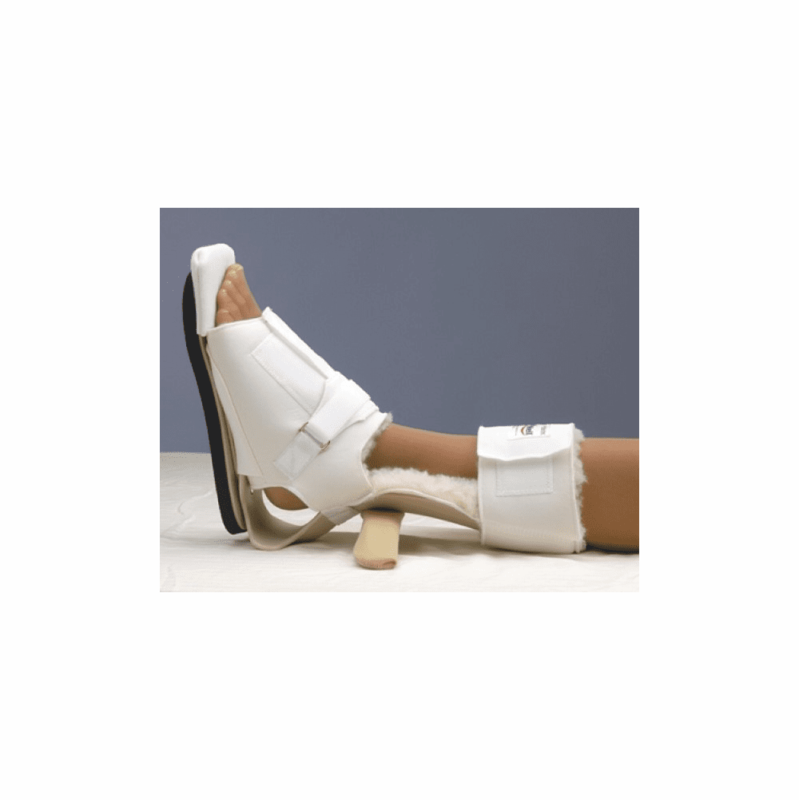 descriptionDesigned to help prevent and/or treat many conditions of the lower extremities. The shell is made of lightweight plastic and has a spring-like action. It has a soft and comfortable liner that allows air to circulate, absorbs perspiration and also keeps the foot warm. Padded adjustable toe post and hip rotation bar. Liner is removable for laundering. Available with or without transfer pad.